This document introduces the parameters and processes involved in managing coded frames within the H.264/AVC standard. This document is informative only and readers should refer to the standard for accurate definitions of the parameters and processes described here. A frame or field of video is decoded from an access unit (a series of NAL u its including one or more coded slices making up a coded picture). The decoding order of access units is indicated by the parameter frame_num (section 2) and the display order is indicated by the parameter Picture Order Count (section 3). Decoded pictures may be marked as “used for reference” (section 4.1) in which case they are available for inter prediction of further decoded pictures. Reference pictures are organised into one or two lists for inter prediction of P, B or SP slices. The default order of these lists (section 4.2) may be explicitly modified by a reference picture list reordering process (section 4.3). The parameter frame_num is decoded from each slice header. frame_num increases in decoding order of access units and does not necessarily indicate display order. IDR : frame_num set to zero. (unless gaps_in_frame_num_value_allowed, in which case decoder has to create “dummy” decoded frames to fill gap; or unless the current picture and the preceding reference picture are fields with opposite parity). 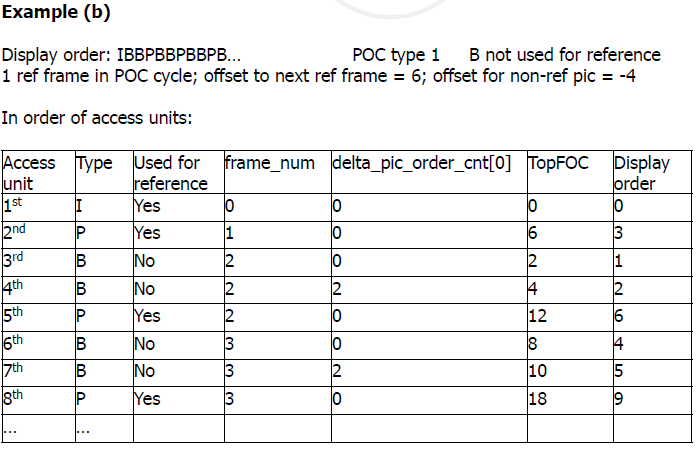 POC determines the display (output) order of decoded frames, starting from first field of an IDR picture (POC=0). POC is derived from the slice header in one of 3 ways (see below). POC derived as TopFieldOrderCount and BottomFieldOrderCount, for the top and bottom fields of each coded frame. Note 1: an application may assign POC proportional to the sampling time of a picture relative to the last IDR. This could lead to variable gaps in POC. 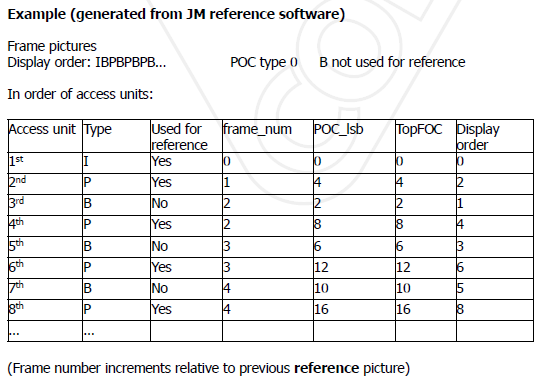 Note 2: the JM reference encoder increments POC by 2 for every complete frame. 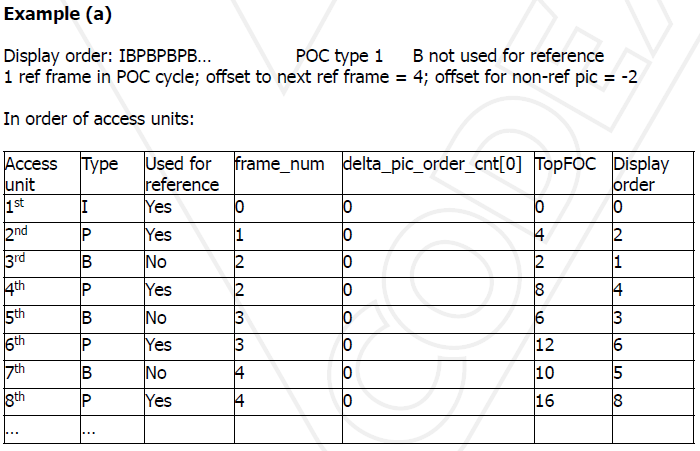 This effectively means that (1) only one non-reference picture can occur between reference pictures, (2) the display order is the same as the access unit order (decoding order), (3) if all pictures are used for reference, POC increments by 2 each time. Picture that is encoded or decoded and available for reference is stored in the Decoded Picture Buffer (DPB) and marked as (a) a short term reference picture, indexed ac ording to frame_num or PicOrderCount or (b) a long term reference picture, indexed according to LongTermPicNum, a reference index assigned when a picture is marked as a long term reference picture. Short term reference pictures may be assigned a LongTermPicNum (“changed” to a long term reference picture) at a later time. Short term reference pictures are removed from the DPB (a) by a explicit command in the bitstream or (b) when the DPB is “full” (oldest short term picture is removed). Long term pictures are removed by an explicit command in the bitstream. Reference pictures are ordered in one or two lists prior to encoding or decoding a slice. P slices use a single list of reference pictures, list0; B slices use 2 lists, list0 and list1. In each list, short term reference pictures are listed first by default (see below) followed by long term reference pictures (in increasing order of LongTermPicNum). The default short term reference picture order depends on decoding order when the current slice is a P slice and depends on display order when the current slice is a B slice. List0 (P slice) : decreasing order of PicNum. (PicNum is a “wrapped around” (mod MaxFrameNum) version of frame_num). List0 (B slice) : (1) decreasing order of PicOrderCount (for pictures with POC earlier than current picture) then (2) increasing order of PicOrderCount (for pictures with POC later than current picture). P slice, list0. Reference picture list is initially empty. Current frame_num is 150. Maximum size of the DPB is 5 frames. Italics indicate a LongTermPicNum. 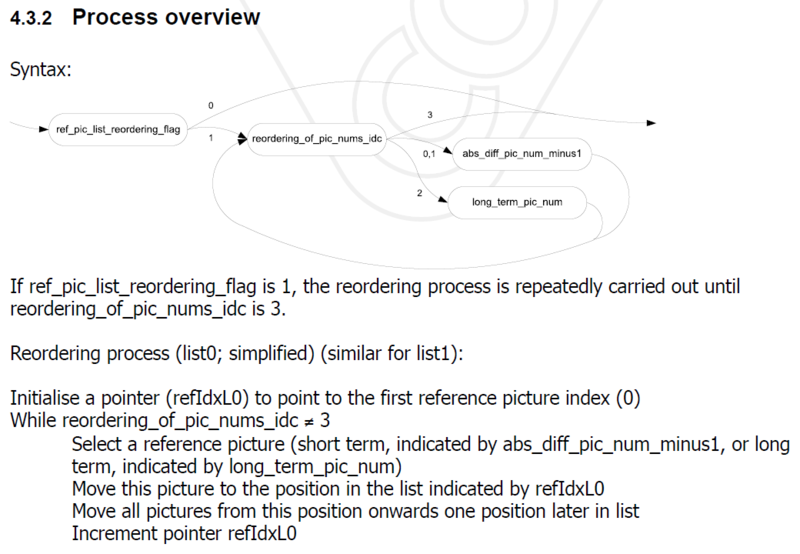 Purpose: enables encoder to change default order of reference pictures in list0 (and list1 for B- slices) temporarily for the next decoded slice. Example application: The reference picture index ref_idx_l0 (or l1) occurs once in each MB or MB partition. This is signalled as a truncated Exp-Golomb code (te). Larger values of ref_idx cost more bits. There may be a reference picture (short term or long term) that is particularly useful for prediction of the current slice but is not in position 0 in the default list. This process enables the encoder to place this reference picture at a low index in the list so that it costs fewer bits to signal prediction from this picture. abs_diff_pic_num_minus1 signals an offset (positive or negative) from a predicted reference picture. For the first reordering instruction (remapping), the predicted picture is the current picture number. For subsequent reordering instructions, the predicted picture is the picture number of the most recently remapped picture. (in each case, the calculation is modified to prevent errors due to the pi ture numb r wrapping round). long_term_pic_num indicates a long term picture to be remapped to the current position in the list. P slice, list0, DPB contains 5 reference pictures. Current frame_num is 158 [check: is this correct if latest frame in DPB is 157 ?]. New predicted picture = 153; new refIdxL0 = 1. New predicted picture = 155; new refIdxL0 = 2.
reordering_of_pic_nums_idc = 3 #End of reordering process. Iain E Richardson, “The H.264 Advanced Video Compression Standard”, John Wiley & Sons, 2010.  Vcodex is led by Professor Iain Richardson, an internationally known expert on the MPEG and H.264 video compression standards. Based in Aberdeen, Scotland, he frequently travels to the US and Europe. Professor Richardson is the author of “The H.264 Advanced Video Compression Standard”, a widely cited work in the research literature. He has written three further books and over 50 journal and conference papers on image and video compression. He regularly advises companies on video codec technology, video coding patents and mergers/acquisitions in the video coding industry. Professor Richardson leads an internationally renowned image and video coding research team, contributes to the MPEG industry standards group and is sought after as an expert witness and litigation consultant.